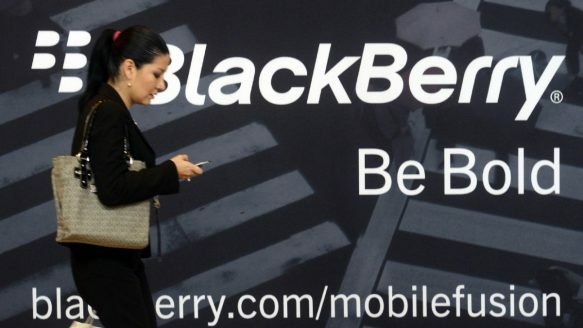 A midst Monday’s trading session, Blackberry share trading was halted just like it did on Friday. Last week, the company released a statement lowering earnings guidance and highlighted some serious issues in the company. On top of that, it was announced that about 4500 jobs were going to be cut, sending its shares to 10 month lows. This time however, the company announced that it had entered into letter of intent with a consortium led by Fairfax Financial. After a less than positive BB10 release, the company has struggled to sell its devices and stock has been tumbling ever since. Monday’s announcement of the takeover means that the company would be taken private and shareholders will receive roughly $9 per share. This values the transaction to be $4.7 billion. Currently, Fairfax Financial is Blackberry’s largest shareholder at 10% and this takeover was heavily rumored by analysts and investors. The company, in its press release stated that they had “signed a letter of intent agreement under which a consortium to be led by Fairfax Financial Holdings Limited has offered to acquire the company subject to due diligence”. The consortium is permitted to conducting due diligence in 6 weeks and hopes to seal the deal by the first week of November. Prem Watsa was quoted, “We believe this transaction will open an exciting new private chapter for Blackberry, its customers, carriers and employees.” He added, “We can deliver immediate value to shareholders, while we continue the execution of a long-term strategy in a private company with a focus on delivering superior and secure enterprise solutions to Blackberry customers around the world.” It is fairly certain that the company would stop producing consumer driven products and fully focus on its enterprise business, serving corporate clients with systems solutions. Prem is dubbed the Canadian Warren Buffet and some believe that he and his Fairfax Financial have what it takes to turn the company around and save it from dying.